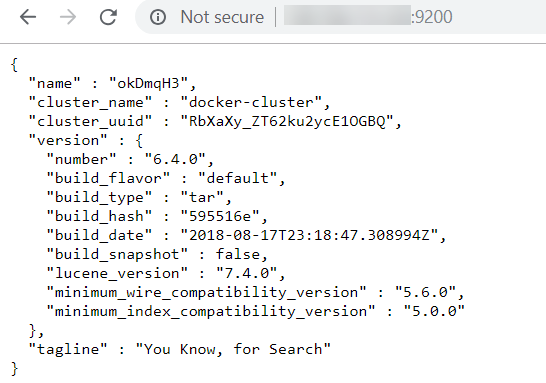 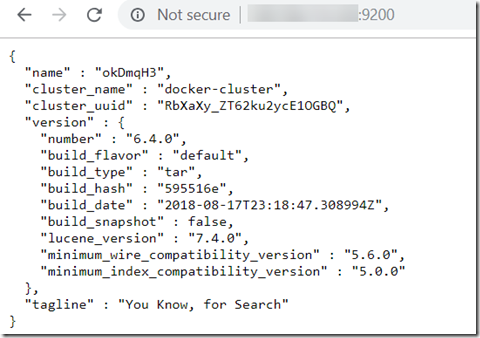 Note that the container started from this service is explicitly named elasticsearch. 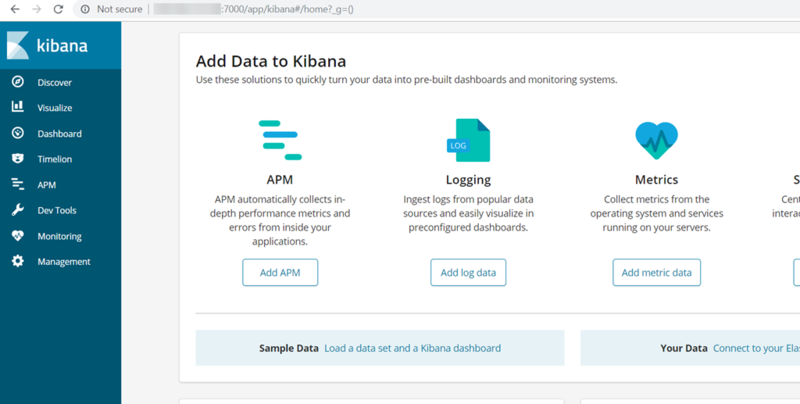 This is done for the link defined for the Kibana service to work correctly. 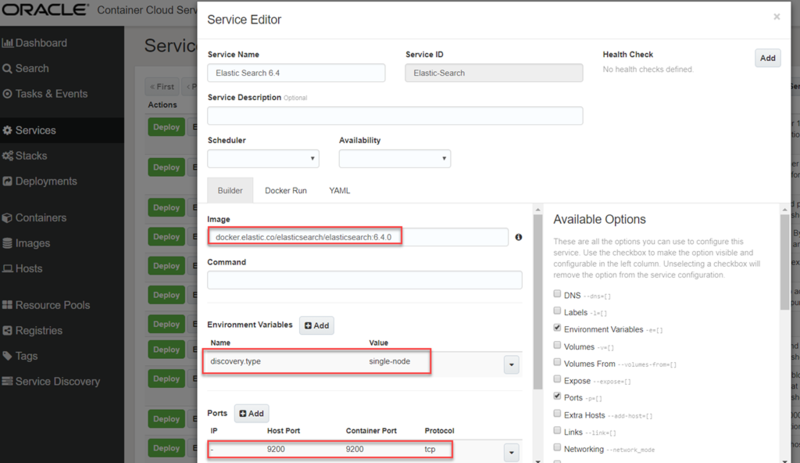 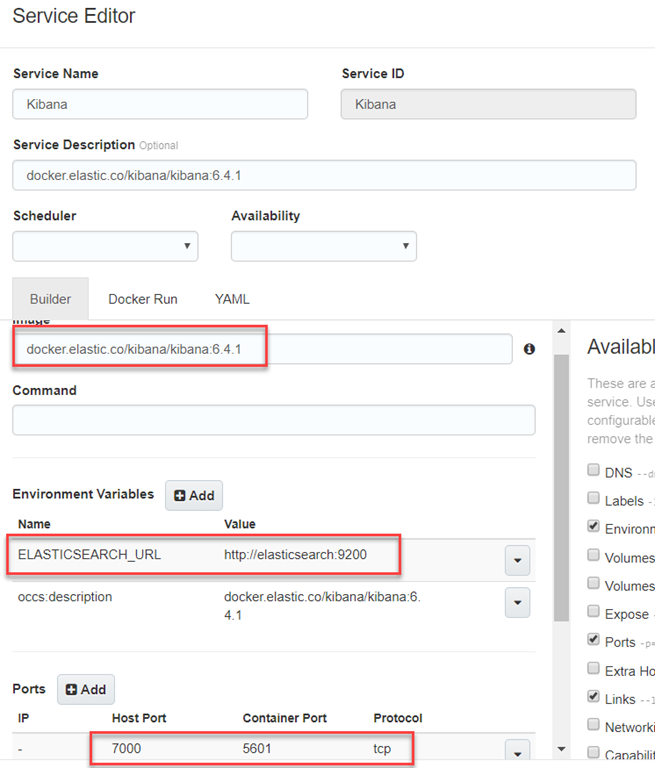 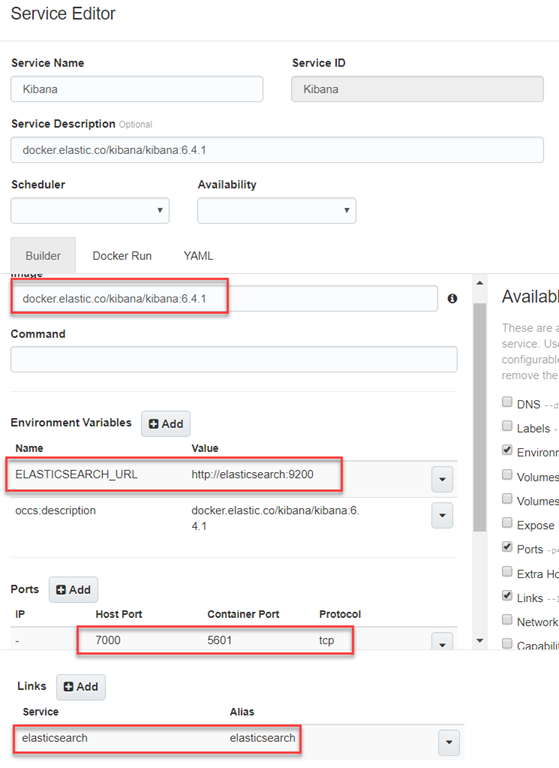 This second service starts Kibana that will contact Elastic Search, leveraging the link to the first container. 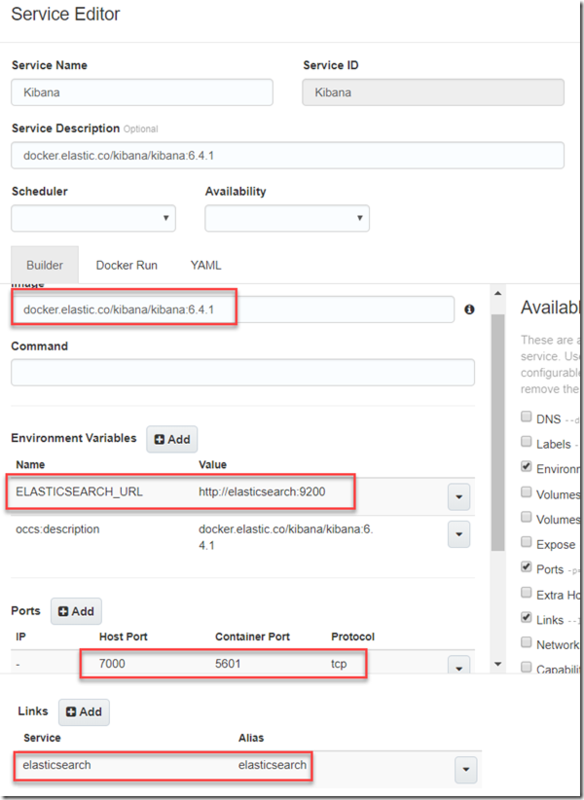 Kibana has linked up with Elastic Search and can now visualize its data.